Do you love all the farmhouse style wood signs floating around the internet? Well, what if I told you that you can make one yourself for less than $20? Yep, you read that correctly – less than $20 for a DIY farmhouse decor sign that you can brag about making yourself. And, guess what? No vinyl or vinyl cutter is required. Today I’m sharing a fun “This is Us” sign I made for our living room. Not only do we love this show but it’s the perfect saying for our family gallery wall I’m working on. Cut the 1 x 2 into 4 pieces. You’ll want the sides to be the length of the board and the top and bottom pieces to be the length of the board plus 1.5 inches. Lightly sand with sandpaper and spray with wood stain. Let the stain dry while you work on everything else. Paint wood panel white (or whatever color your want the background to be). Let dry. Use the black paint pen to paint over the letters. This is the most time consuming part of the project but definitely worth it. Once the paint has dried, lightly sand the wood surface to give it a slightly distressed look. This step is optional. I like the distressed look but some people don’t. Create your frame by pre-drilling holes and using the hammer and nails to attach 1 x 4’s to wood panel. Hold out your gorgeous DIY farmhouse decor sign and pat yourself on the shoulder because you just made your very own wood sign. Now, please don’t be intimidated by the list of supplies. I promise – if I can do it, you can do it. Just take your time because you’re going to love your handmade signs. I love that the possibilities are endless! Turn your favorite quote into a wood sign in no time. 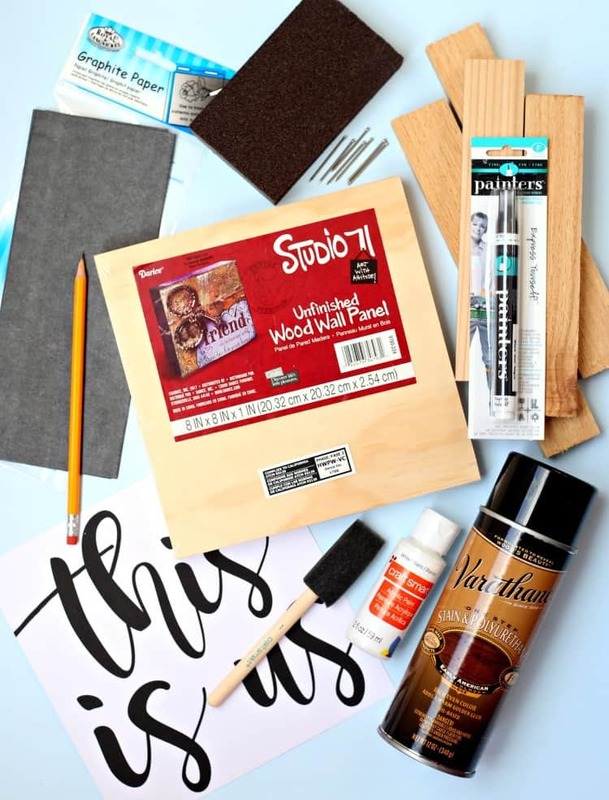 Plus, most of the supplies can be used to make multiple signs. So, turn on your favorite movie or gather your friends and have fun making your own wood signs. What will your first DIY farmhouse decor sign say? I will surely try this out with a favorite quote of mine! Thank You so much for sharing such elegant and classy idea!